In two talks meant to offer the public a fuller image of present-day Transylvania, the president and vice-president of the Mihai Eminescu Trust will present their organisation�s work, focusing on the restoration of the Jewish heritage of Transylvania, and the development of the Saxon villages as vibrant self-sustaining, rural societies. The events are part of the exhibition Transylvania � Heritage and Future, which is centred on the Saxon villages of South-Eastern Transylvania, known in German as the Siebenburgen, and their recent rebirth as self-sustaining rural communities. 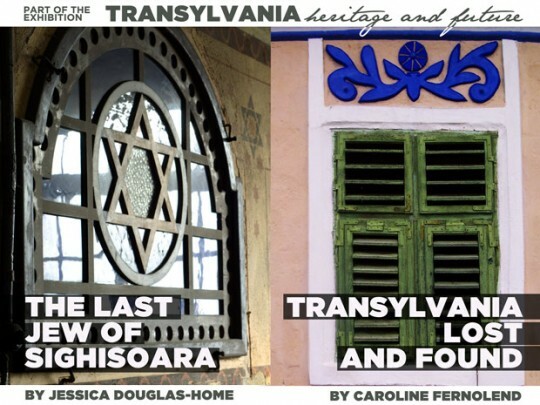 The exhibition Transylvania � Heritage and Future is open from 14 to 31 October 2010, Monday to Friday, 10.30am to 5.30pm, at The Embassy of Romania to the United States (1607 23rd Street, NW, Washington, D.C. 20008). Guided tours at 1pm and 4pm. FREE ADMISSION to exhibition, guided tours and all events. The official opening (by invitation only) takes place on Thursday 14 October 2010, at 6.30pm. Details from mail@mihaieminescutrust.org . The exhibition is part of a larger program promoting the cultural values of Romania in Washington DC, and celebrating 130 years of diplomatic relations between Romania and the USA. It will be officially opened by the Romanian Ambassador, HE Adrian Vierita, and by the President of the Mihai Eminescu Trust, Mrs Jessica Douglas-Home. RSVPs and further information: Contact person: Ramona Mitrica, mail@mihaieminescutrust.org . For full program and updates, please check www.mihaieminescutrust.org �Transylvania � Heritage and Future� is organised by The Mihai Eminescu Trust, The Embassy of Romania in Washington, The Romanian Cultural Institute in New York, and The Romanian Ministry of Regional Development and Tourism, with the support of the Ratiu Foundation.